Steven (Homepage) wrote: Incredible beautiful. Movement in it is great. Tom (Homepage) wrote: Lovely calm shot. Wonderful tones. NJ & SB Photography (Homepage) wrote: Es una maravilla Paolo, me encanta!! Andrew (Homepage) wrote: Soft colors have a very calming effect on me. This is beautiful and peaceful. TP@Photoskiasi.com (Homepage) wrote: Quite dark but beautiful. Pere (Homepage) wrote: Bellísima. Genial sensación de calma y paz. Una imagen totalmente relajante. El procesado impecable. Sumedh Prasad (Homepage) wrote: This is so awesome! Zen shot! Vincenz (Homepage) wrote: It's like a painting. Wonderful Tone-Curve! Andy (Homepage) wrote: Very peaceful feeling in this photo! I like it! Andrés (Homepage) wrote: Beautiful colors, subject and framing. Well done. Frida (Homepage) wrote: beautiful calm water and great colors. Looks so tranquil. Michael Rawluk (Homepage) wrote: That is a stellar shot. I like the colours and the dark tones. Mike Paulison (Homepage) wrote: This image is all atmosphere! An image where the colors and softness convey a peaceful, dreamlike mood. Gorgeous work! Krims@nline.be (Homepage) wrote: Awesome, stunning, wonderfull, superb ... wordpress. Vongrats Paolo! sherri (Homepage) wrote: So tranquil. The water looks like mist and the colors are gorgeous. Arnd (Homepage) wrote: Magical and atmospheric shot. Great colors and beautiful composition. 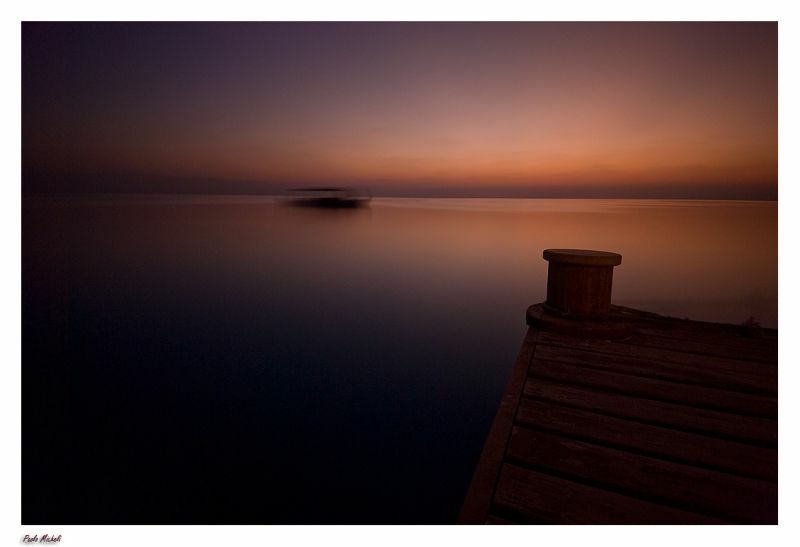 Abel (Homepage) wrote: Nice warm tones and very peaceful image. mbecher (Homepage) wrote: This is so warm and quit. Really nice work on the colors and softness. Giovanni (Homepage) wrote: Che atmosfera incantata!! Bellissima!